Ahh, Hawaii. Can you picture a more idyllic location? 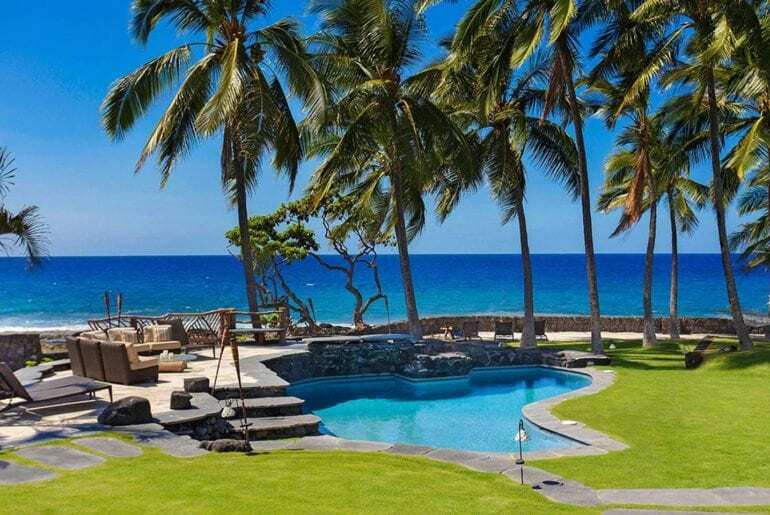 How about staying in a luxury Hawaii Airbnb? With stunning beaches, nature, a chilled out vibe, and that welcoming hula-hula feel, Hawaii is one of the most sought-after locations on the planet. Remember, Hawaii isn’t just the Big Island, the state consists of multiple islands. Deciding which island to stay on can actually be quite tricky, because they all have beauty in abundance and different feels to them. It really depends on what you’re after! 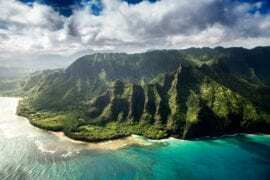 The Big Island is without a doubt the main pull, but Oahu is another to consider. Surfing, food, chilling out, and enjoying nature are certainly on the menu, whether you want to hit famous Waikiki Beach or not. 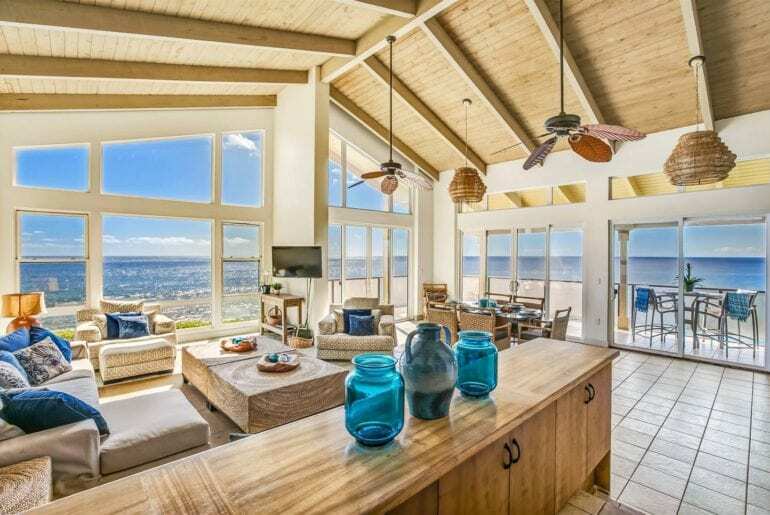 To prove just how luxurious your stay can be, here are 8 of the most incredible luxury Hawaii Airbnbs to put on your short list. 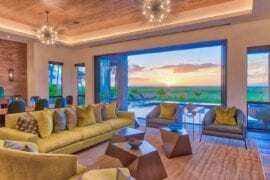 The most incredible luxury Hawaii Airbnbs don’t always have to be huge penthouse apartments or beachfront buildings, as this stunning condo goes to show. Decorated in a colourful, traditional style, you’re surrounded by lush greenery at every turn. 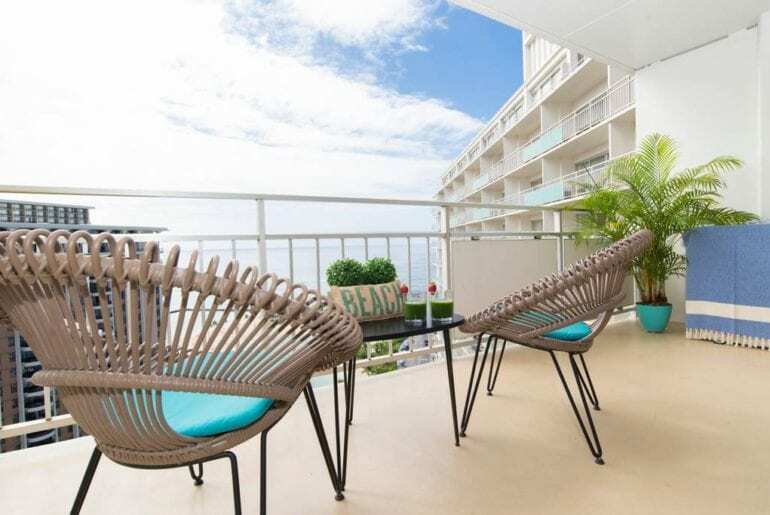 With space for four guests, this condo has a huge private pool and BBQ facilities, as well as a sun terrace for soaking up that Hawaiian sun. 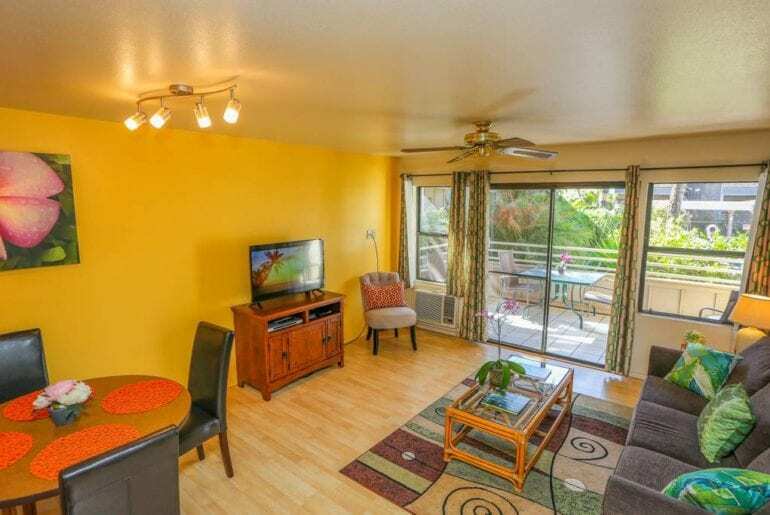 Located in Kihei, this tropical one-bedroomed condo has loads of personality. The balcony is the ideal place to chill out in the evening, perhaps with a cocktail in hand. 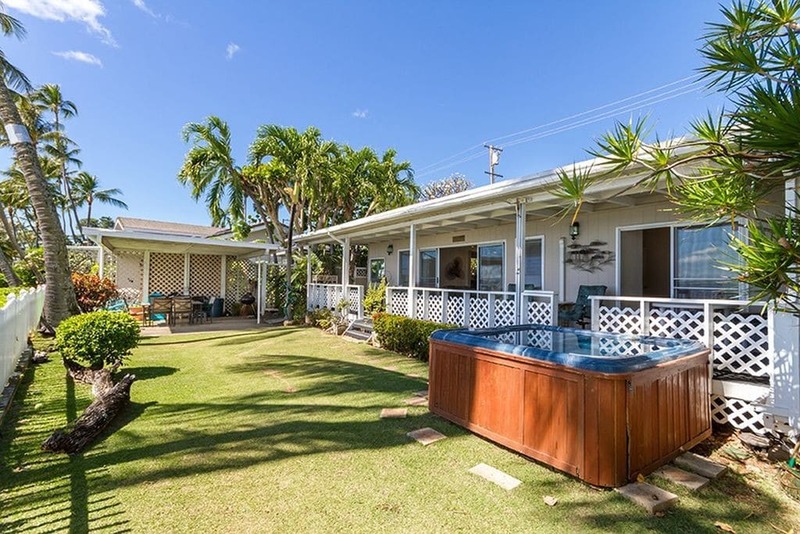 The modern kitchen is stocked full of everything you could need, but you’re also within very easy reach of laidback Kihei nightlife, just a stone’s throw away. It’s basically a home away from home, albeit a tropical and luxurious one, available from just $159 a night. There is nothing more beautiful than waking up to the call of nature every single morning, and this huge and opulent bungalow is more of a dreamy manor house than anything else! You have your own private swimming pool, set amongst greenery and with a jaw-dropping view of the mountains. The house itself is decorated in grand style, with heritage and tradition everywhere you look. You’re never more than a head turn away from stunning mountain views either! 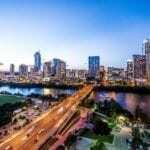 Honolulu is a fantastic place to base yourself, and you’re close to all the major sights here also. 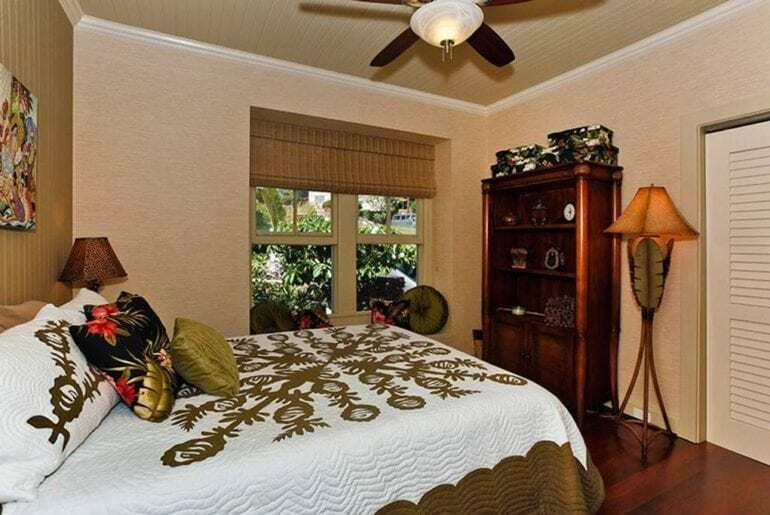 There is room in this property for ten guests, so it is ideal for groups or families with four bedrooms and three bathrooms. 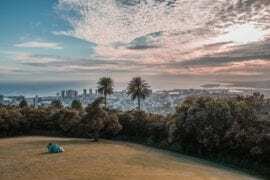 The other perk is that because you’re high on the hill, you’ll never be too hot, thanks to those gorgeous ocean breezes heading your way from Waikiki Beach. 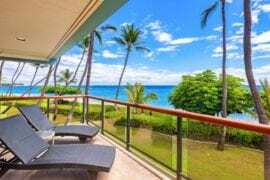 Book this truly magnificent luxury Hawaii Airbnb from $850 a night. 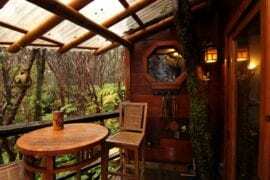 For $500 a night, you can stay in one of the most idyllic settings in all of Hawaii. 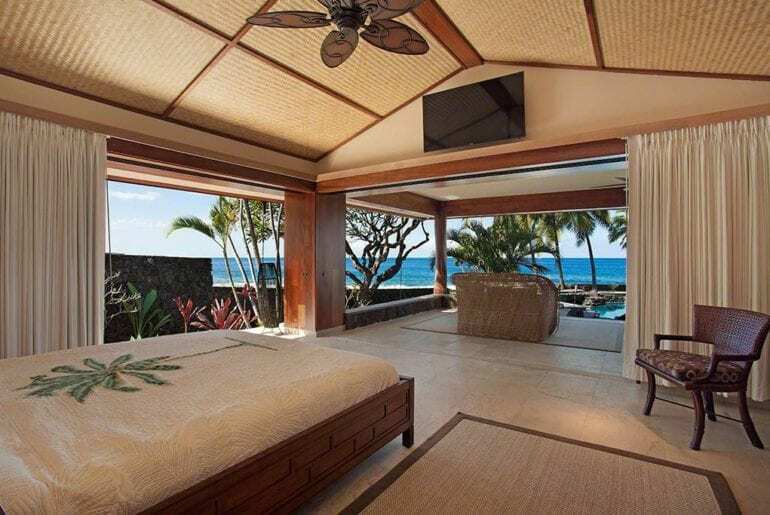 Can you imagine waking up to the impossibly blue Pacific Ocean every single morning? Peer between the curtains and that’s what you’ll see. You can even sit on the balcony and admire the colourful sunset whilst you sip on a cocktail or three. Sign us up! 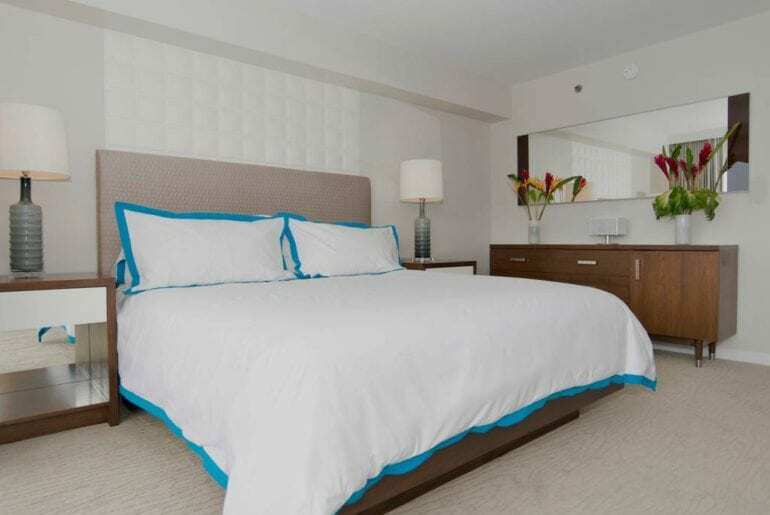 This gorgeous beachfront Honolulu apartment has space for four people, with two beds and a huge, modern bathroom. You also have access to a large swimming pool and terrace, but with the beach so close, surely that’s where you’ll spend your time. Honolulu is home to some of the best nightlife on Oahu, so you should definitely get out and about to explore. 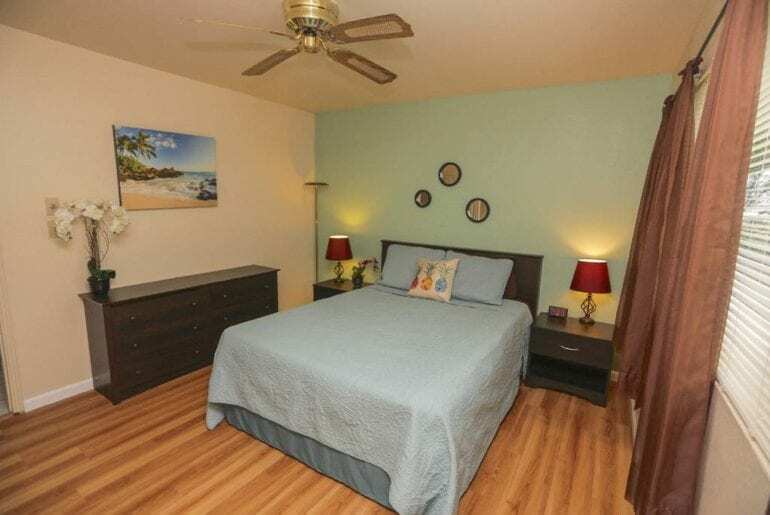 The great thing about this property is that you’re very central to everything, making it one of the best luxury Hawaii Airbnbs to choose from. 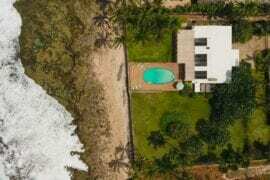 Although it will cost you from $700 a night, renting an entire beachfront house right n Honolulu beach is a steal! 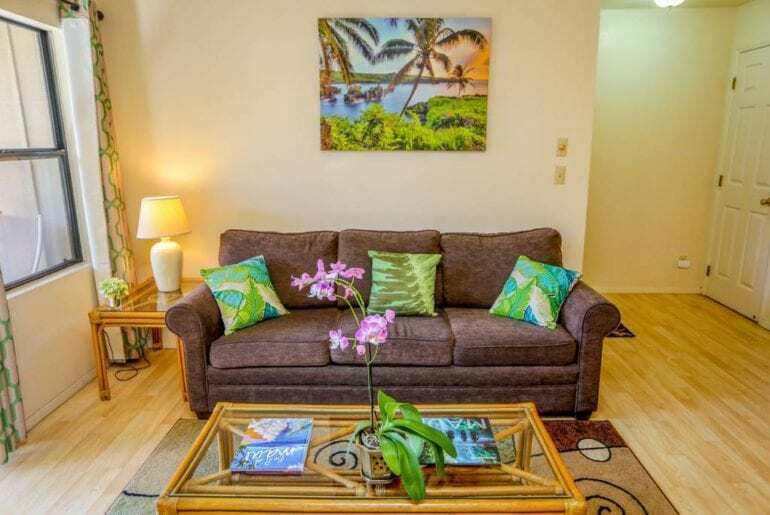 This stunning, luxury Hawaii Airbnb rental is ideal for tropical family reunions or a group of friends who want to chill out and enjoy the relaxing vibe of Hawaiian life, all while staying close to Honolulu’s fun nightlife and useful amenities. There is space for up to 12 guests, and with a hot tub and private garden leading right onto the beach, you’ll probably never want to leave! There are four large bedrooms and three bathrooms, including flatscreen TVs for evening entertainment if you don’t feel like venturing out. 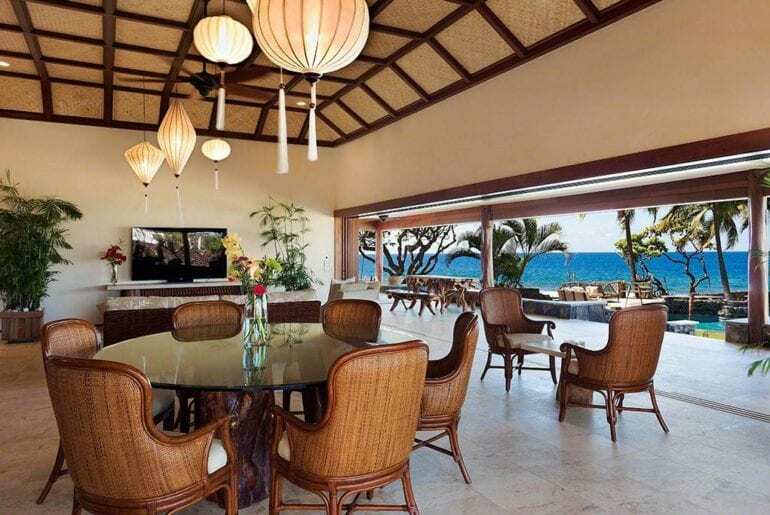 This is the perfect spot for a memorable Hawaii family vacation or reunion. Everyone in your group will absolutely adore this dreamy, natural setting. 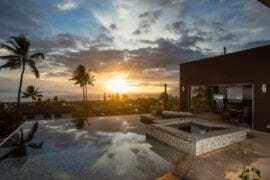 This is without a doubt one of the most incredible luxury Hawaii Airbnbs you’ll ever set your eyes on. You might not want to leave! 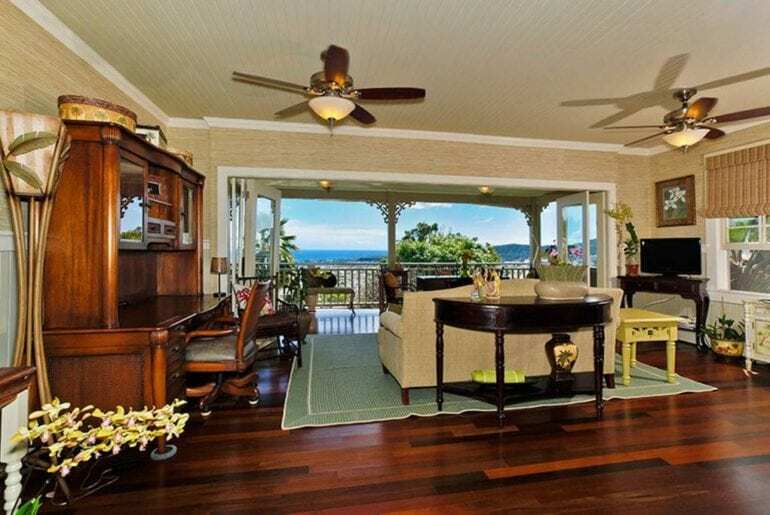 With a huge open space, this beautiful beachfront home in Koloa has views to make your eyes water. 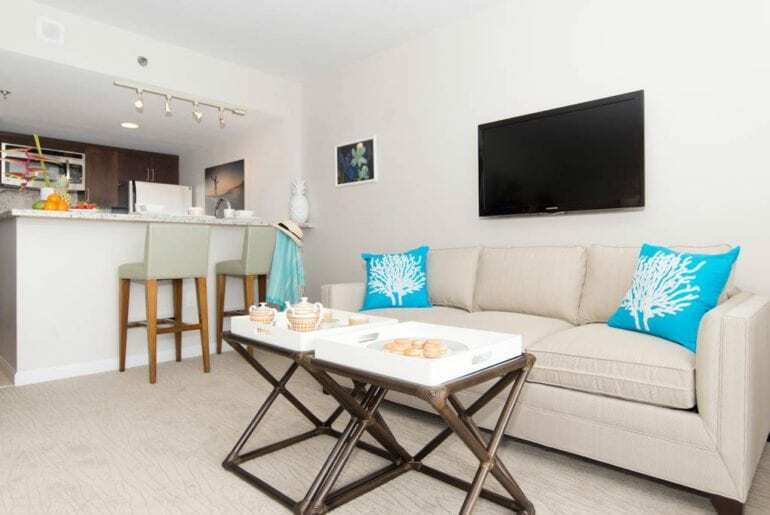 With lots of natural light and airy decor, you can’t be anything but upbeat and cheery here! There’s space for four guests, with two large bedrooms and two bathrooms, but it’s the open plan living room and kitchen space which steals the show. 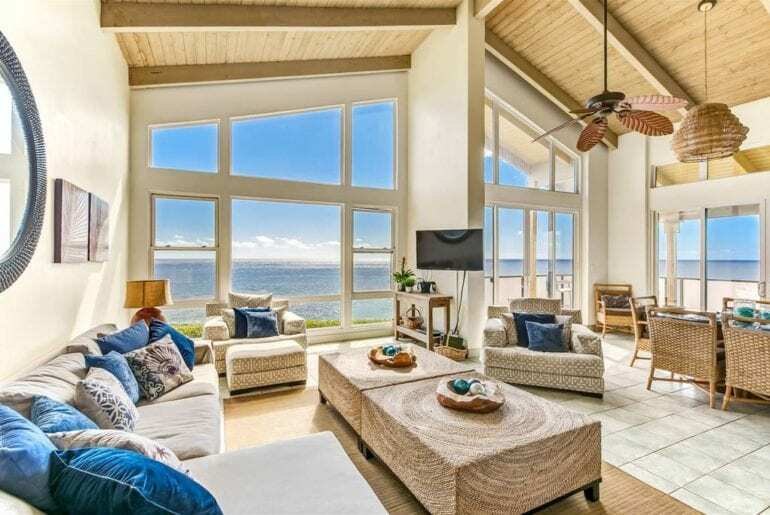 The floor to ceiling windows and patio doors give sweeping, panoramic views of the Pacific Ocean at every turn. The balcony area is ideal for chilling at any point during the day, and you’re a literal stone’s throw from the beach itself. This part of Hawaii is a little quieter than some of the more well-known spots, making this the perfect spot for those who want to chill the hell right out. 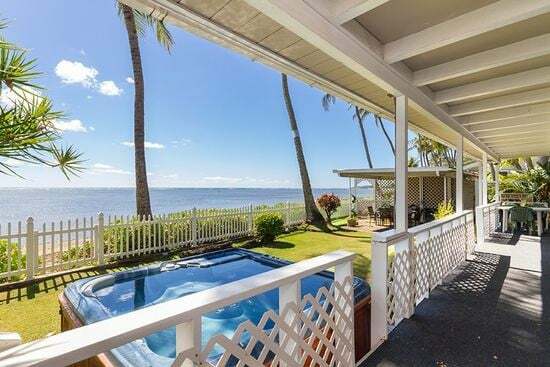 Best of all, this luxury Hawaii Airbnb in Koloa is a steal, starting from just $484 a night. With space for up to six guests, this is the ideal island getaway for those who want to cut themselves off from the world and truly chill away their cares. 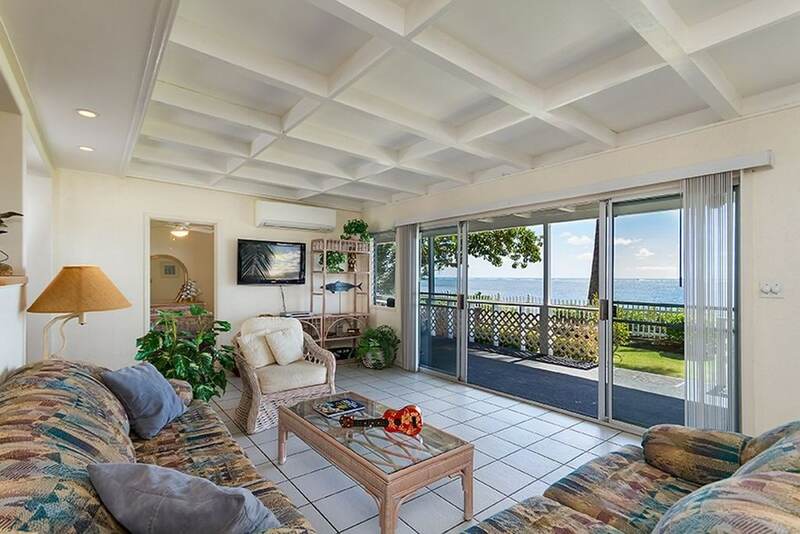 This divine beachfront home in Keaau has three bedrooms and two bathrooms, all of which have amazing views of the Pacific Ocean. 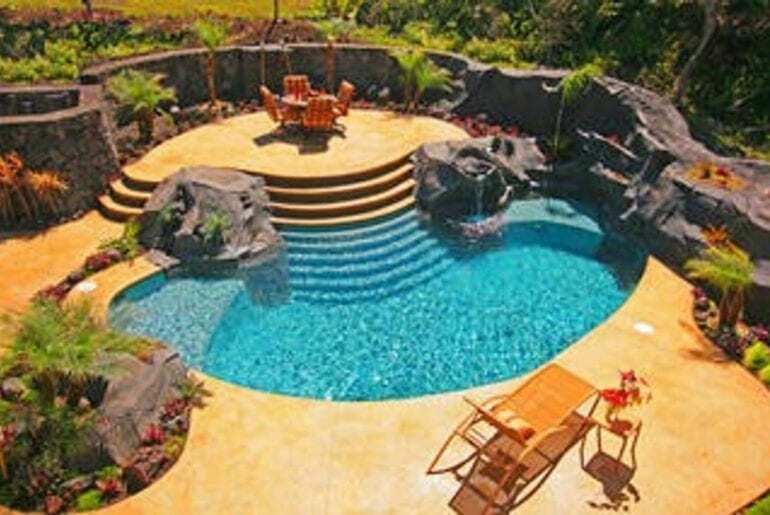 The real show-stopper is the swimming pool, with walk-in steps and tropical landscaping surrounding it, making it feel like you’ve stumbled upon a private grotto in the rainforest. The property covers two storeys, so you get even better views from upstairs, and is fully air-conditioned. There are flatscreen TVs throughout, and a huge kitchen with everything you could possibly need for your Hawaiian vacation. You’ll feel as if you’ve been cast away to a private tropical island paradise but can still enjoy modern amenities for luxury and comfort. 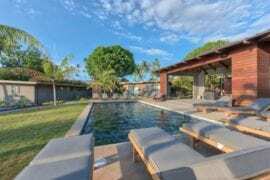 This secluded, luxury Hawaii Airbnb is available from just $460 per night. 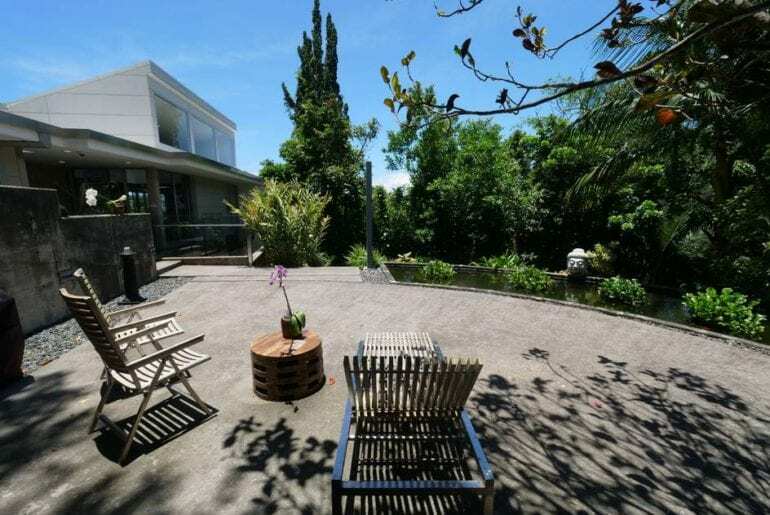 Right in the heart of the lushest forest around, this dreamy, rainforest mansion property is the ideal spot for anyone who wants to be surrounded by nature, but close enough to the main tourist hotspots too. Walls are not a thing this property knows much about, as most of the home is glass. 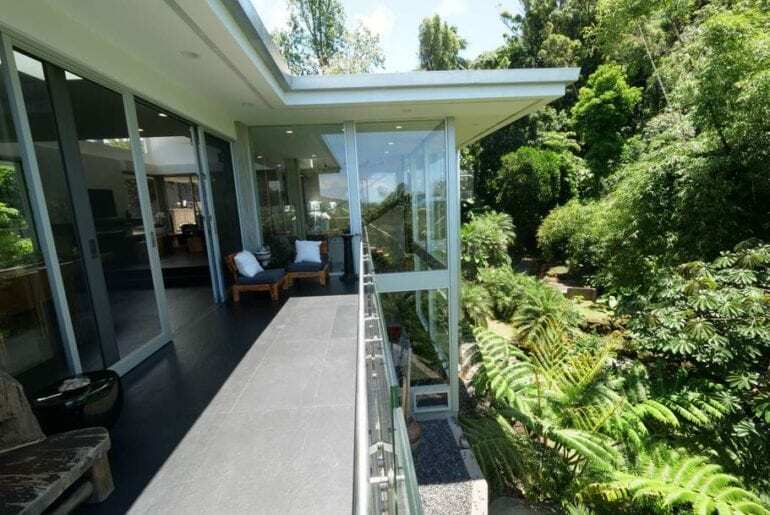 This contemporary luxury home has been designed so that you can admire the idyllic surroundings from pretty much every room. 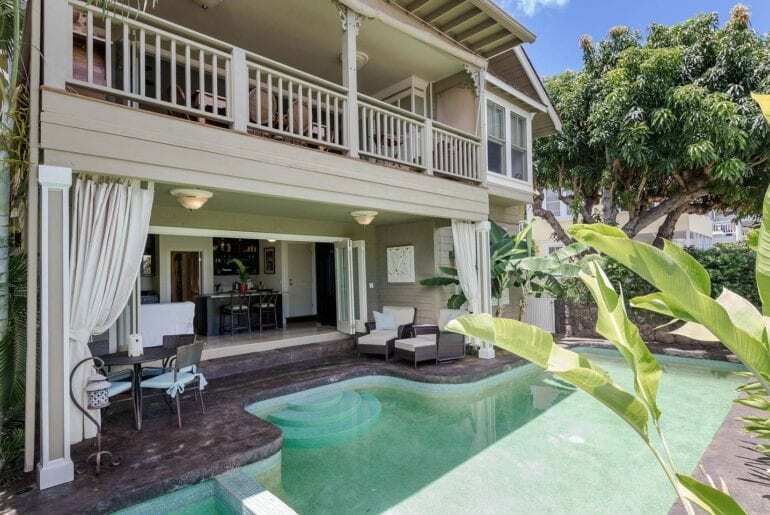 There is space at this luxury Hawaii Airbnb for more than 16 guests, making this is the ideal spot for a group or large family, with four bedrooms and five bathrooms. The property spans over two floors with large, airy living spaces. 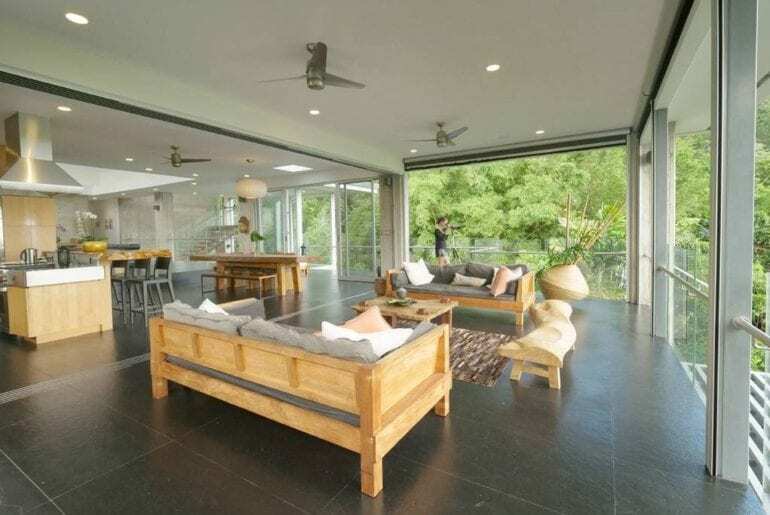 If you can picture the Cullen’s ultra-contemporary home in Twilight, you’re not far away from what this property looks like! Of course, you have to pay the price, and it comes in at a cool $1,000 per night — but we say it’s worth it! 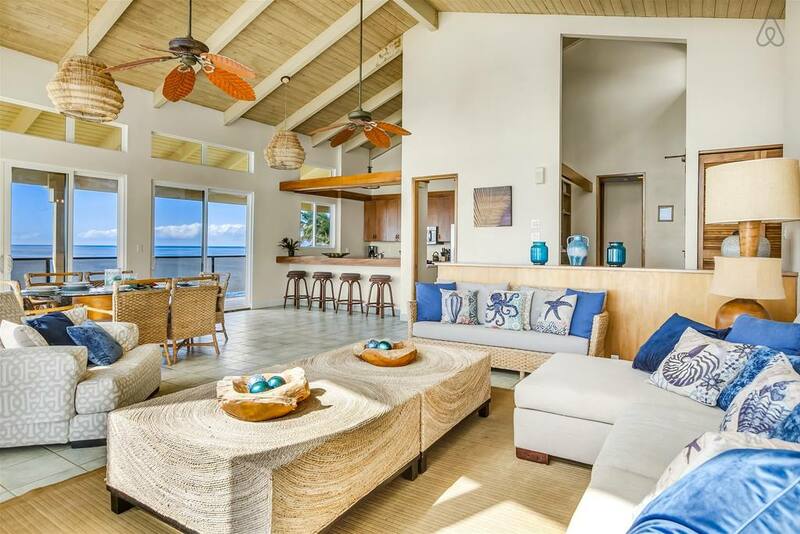 It’s pretty difficult to choose the best feature of this stunning beachfront home in Kailua-Kona. 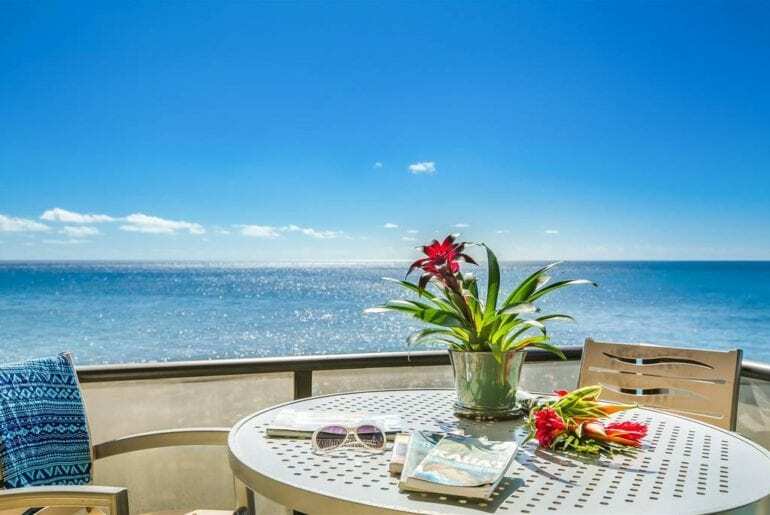 Surrounded by lush gardens and ocean as far as the eye can see, this luxury Hawaii Airbnb has space for up to 8 guests. 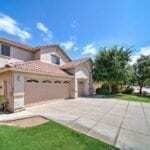 With four bedrooms and four bathrooms, the property has all the comfortable, modern amenities you could ever need. 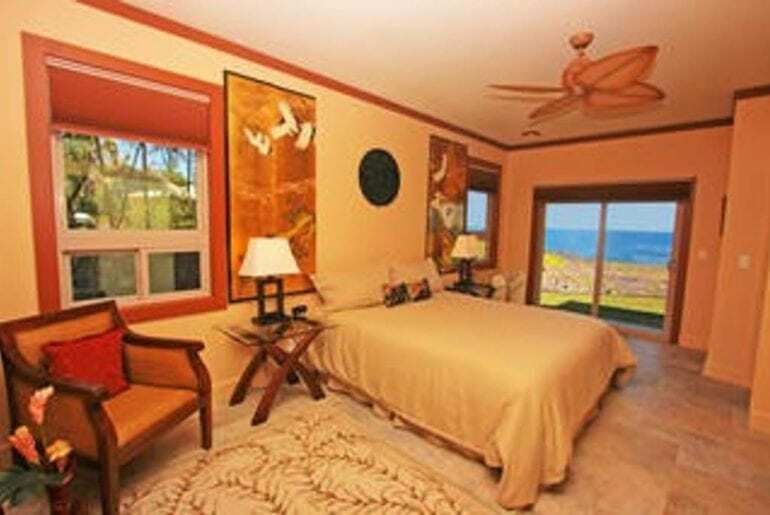 Each bedroom is also open to the elements, so every guest can enjoy stunning views over the ocean each and every day. The outdoor space here is just as amazing with tropical gardens, a huge swimming area shaded by trees, and a picnic spot where you can all enjoy dining al fresco. Of course, being steps away from the blinding blue of the ocean helps to lift the mood. 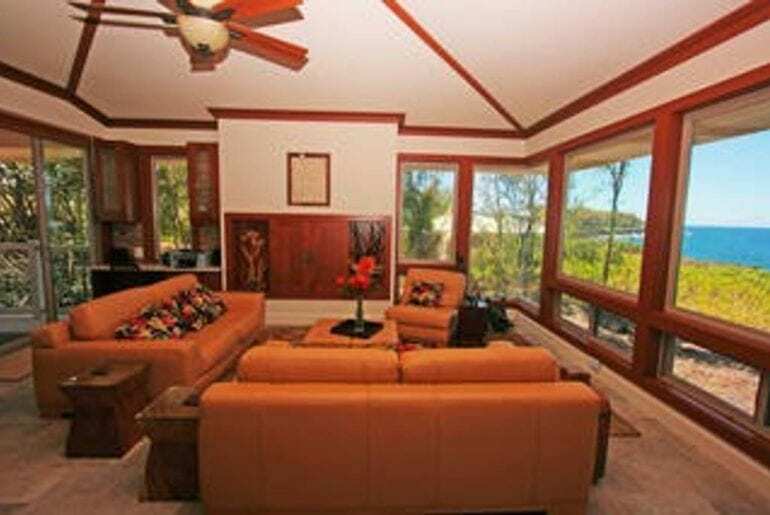 You’re close to island entertainment and nightlife, but the overall vibe of this property is seclusion and relaxation. Enjoy the luxurious wonder and serenity of nature, starting at $1,800 a night.